Discover how much more your roof can do. When a disaster hits, you don’t have time to wait. Torrential downpours, hurricanes, tornadoes and other extreme weather events require a smart, planned response as fast as possible. For any business, you need to prevent further damage and return your facility to normal. 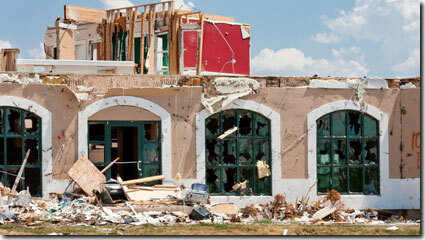 Atlas-Apex Roofing has the most comprehensive disaster response program in the industry. We’re experienced in disaster work and have the resources, communication skills and stability you need in all situations. We can handle any disaster, any roof, anywhere.